You have a restaurant and want the best for your customers? What about an elegant menu to spice up your offer? 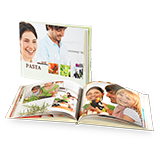 Create a fitting Pixum Photo Book with appetising pictures of your dishes, drinks, set menus and deserts. Use books to represent the different beers, wines, spirits and soft drinks you have on offer! 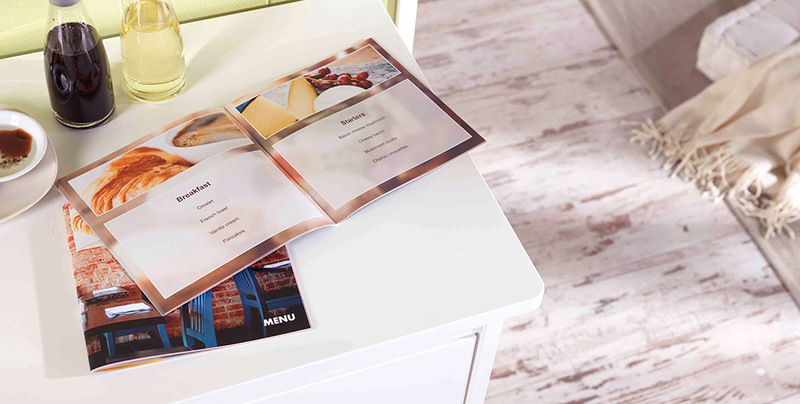 Our glossy premium paper is sure to make the right impression for your menu. That way, your choice of dishes and beverages are enshrined in a very special way. Choose a Photo Book with a soft cover. In the new version of the Pixum Photo Book software, you can now add a video by way of a QR code. By making short videos of various parts of your restaurant (such as the kitchen, the bar and the dining area), you allow your guests a quick peek behind the scenes. This gives your customers an impression of quality, meaning they will trust your abilities to produce a quality meal. Remember to sign off with a greeting signed by your whole team, with a friendly staff photo wishing your guests a pleasant dining experience.